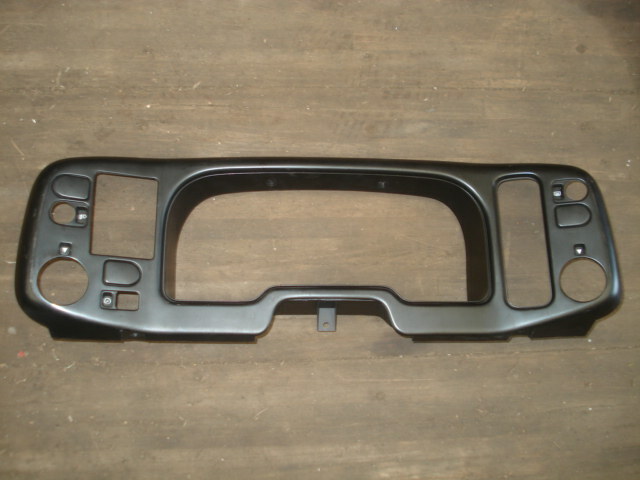 This is the Scorpio gauge surround bezel usually found one or more of the installation mounting points broken. We have a VERY limited amount of unbroken surrounds available. We do have other surround with one or more tabs fractured that we maybe able to repair for a "driver", these would be available upon request, contact blugg@msn.com as needed.